This is perhaps the most “amazing” picture I ever took. 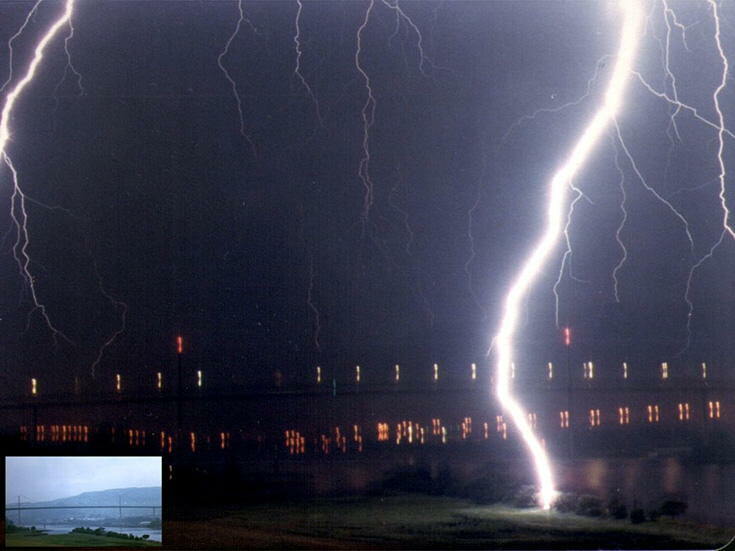 It is a time exposure of a thunderstorm in Erskine Bridge, Scotland - on the River Clyde in 1985. I didn't actually realize that there was a lightning strike within 600' of my location until the pictures were developed back in the US. Note, the daylight view of the bridge from the same location (insert).